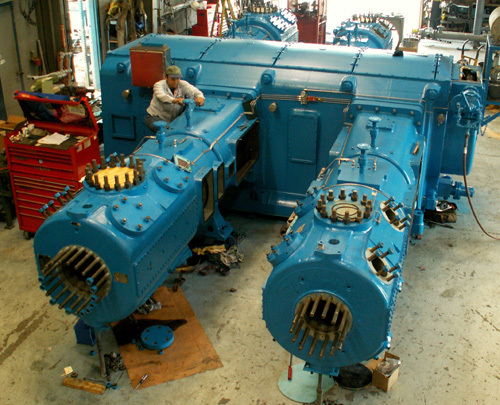 Lone Star Compressor has been supplying new and remanufactured reciprocating compressors and parts since 1979. We incorporated in 1980. We have supplied many hydrogen and natural gas compressors to customers in the U.S. and around the world. A few of our customers are Fluor-Daniel Engineering, Mustang Engineering, Parsons Engineering, Delta-Hudson Engineering, Chevron, B-P, Husky Oil, Exxon, Arco Refining, Tesoro Refining, Valero Refining, Celanese, DuPont Chemical, Mobil Oil and many more. Lone Star Compressor has the people, facilities, experience and inventory to provide top-quality equipment and shorter lead times than the original equipment manufacturers. Every compressor package is fully tested, covered by a warranty comparable to OEM equipment and offered at considerable savings. When you need compressors, cylinders or compressor packages, you can go through the OEM process, but comparable equipment, faster turnaround and lower prices are available from the sensible alternative Lone Star Compressor. We look forward to working with your company.